Austin Civil Engineering, Inc. is a Texas corporation that provides civil engineering consulting services primarily in the Central Texas area. Hunter Shadburne has provided civil engineering services in the Central Texas area since 1993. Austin Civil Engineering, Inc. was incorporated in 1998 and has continued to build a reputation as a responsive and professional engineering services company. The objective of Austin Civil Engineering, Inc. is to meet our clients’ needs with regard to design, budget and schedule, while maintaining the highest project quality and constructability. Current Project Experience: Austin Civil Engineering provides civil engineering services in the following development sectors: Commercial / Retail, Industrial, Financial, Office, Multi-Family, Churches, Restaurants, Educational and Residential and Commercial Subdivisions. Austin Civil Engineering was incorporated in 1998. Hunter Shadburne, P.E. is president and owner. We continue to grow as a company, both in staff and in experience. 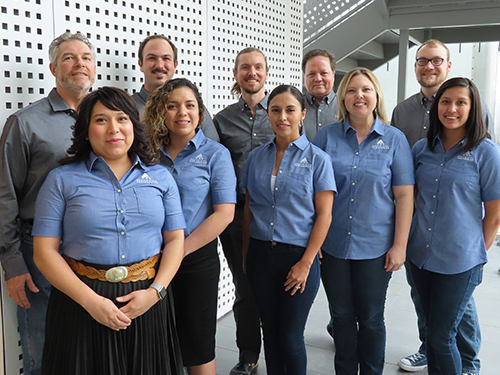 Austin Civil’s staff currently consists of Licensed Professional Engineers, CAD staff, project and administrative staff. In his role as president and owner, Hunter is responsible for the business development, contract execution, customer relations for all engineering related efforts. David is our Sr. AutoCAD drafter with a BS in Civil Engineering. He has extensive experience in Site Development Design and has been utilizing his highly efficient skills with Austin Civil Engineering for 18 years. Brian is the lead Project Manager who has a BS in Nuclear Engineering from Texas A&M. His skills and understanding of the project design and analysis brings precise planning and management. Shauna is currently the Operations and Account Manager with a background in administration, customer service and project management. Her priority is executing business operations, client satisfaction and account management. Gracie is our lead project coordinator who is highly involved in projects to ensure productivity. Her background in management and tech solutions allows for efficient processing and keeps the team well-organized. Cruz is a CAD Drafter who brings experience in creating construction documents with a degree in Architectural and Engineering Computer Design. Maria is a CAD Drafter who has a degree in computer drafting and design. She has been with the company for 6 years and a drafter for 10 years. She has great attention to detail with expert experience in road design and civil utility design. Brad is a project manager who has experience in both water and land engineering and construction operations and concurrence. He has a BS in Civil Engineering from the University of Texas at Austin with focus on geotechnical, hydraulics and hydrology. His leadership skills and quality control allow for accurate design to move the projects forward quickly. Michael is a project manager and an effective team member. At Texas A&M University, he was honored National Merit Scholar and holds a BS in biomedical engineering and a MS in petroleum engineering working towards his EIT in Civil. His knowledge of engineering provides balance to the project design and processing. Isabel is our warm and friendly Office Assistant with strong communication and organizational skills. She has an administrative and customer service background. Her assistance with office and project coordination enables the company to focus on productivity and deliverables. Lead in civil design throughout Texas by delivering a better design process; engineering land development visions. To provide solutions through innovative, efficient, and customized civil design that facilitates economic and sustainable development throughout Texas. We are Clear, Open, Honest, and On-going in our Communication with our clients and one another.